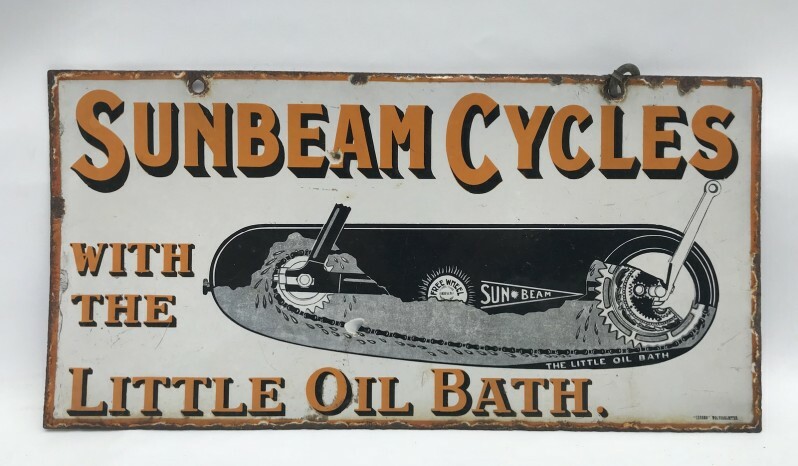 In the Petroliana there was an interesting small sized double sided Sunbeam Cycles sign advertising the Little oil bath. estimated at £900 to £1100 it didn't sell. Note also it shows the eliptical gearing. Not something you see every day for sure. also a couple 'Beam flat fuel tanks.